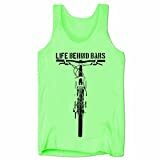 Life Behind Bars Mountain Biking Men’s T Shirt Custom Design ONLY From Bang Tidy Clothing! Makes A Great Custom Bikers Gift or Treat Yourself! ONLY available from & Copyright of Bang Tidy Clothing. Bang Tidy Clothing® is a Registered trade mark.Beware of imitations! 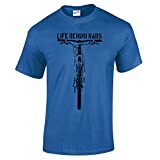 Men’s Life Behind Bars Mountain Biking T-Shirt. A Fantastic MTB Biker Design Shirt that comes in 6 Colours and Sizes S-XXL. Only From Bang Tidy Clothing!